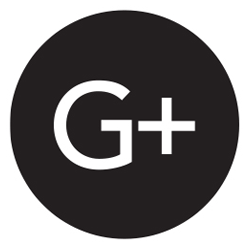 Note: Chrome trip lever is included by default at no charge. 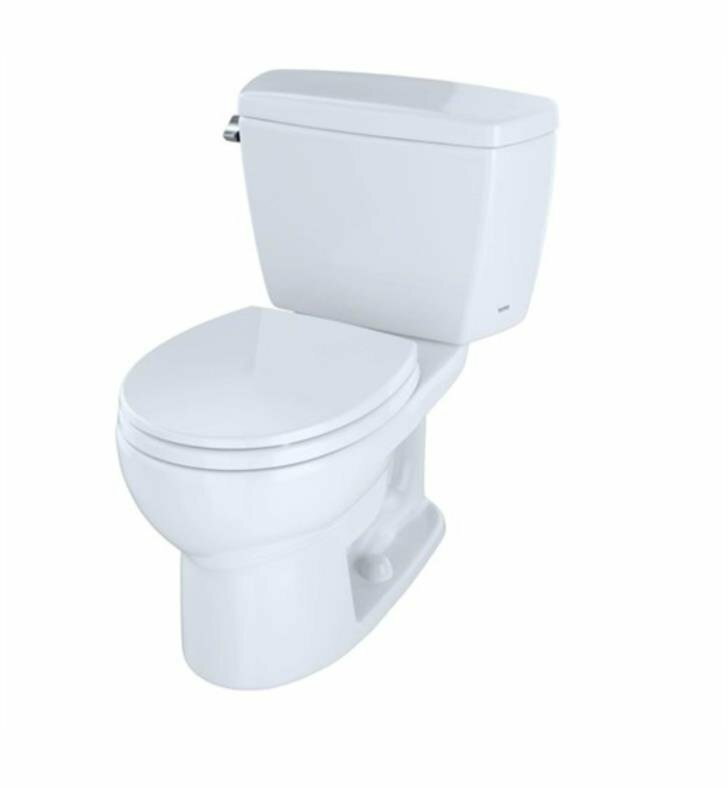 The TOTO Drake Two-Piece Round 1.6 GPF Toilet offers a high-profile design and is powerful and durable enough to work within both residential and commercial applications. 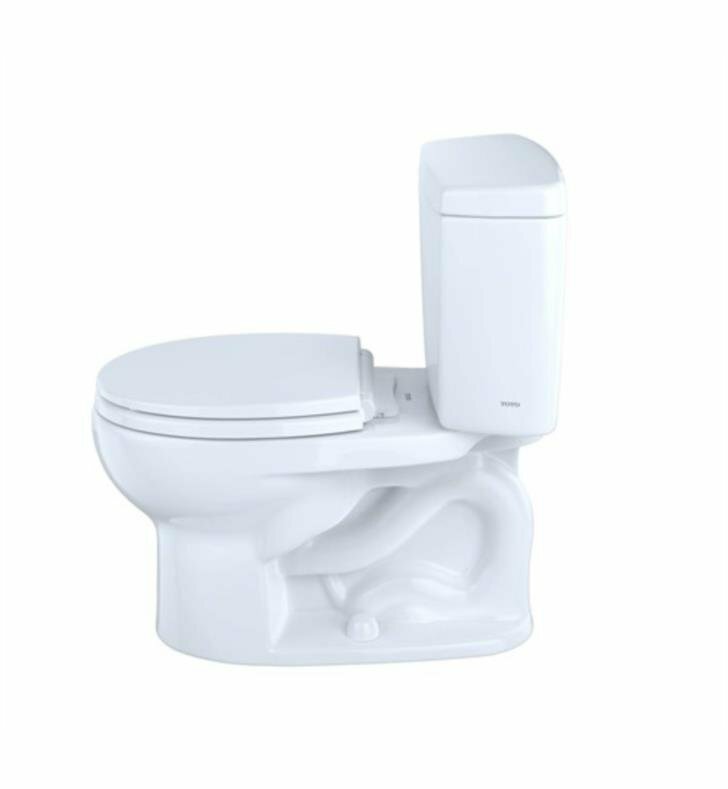 The Drake utilizes TOTO's G-Max flushing system which features a 3'' wide flush valve, extra-large siphon jet and a large trapway. The Drake bowl and tank set includes a tank to bowl gasket, tank to bowl hardware and toilet bolt caps. 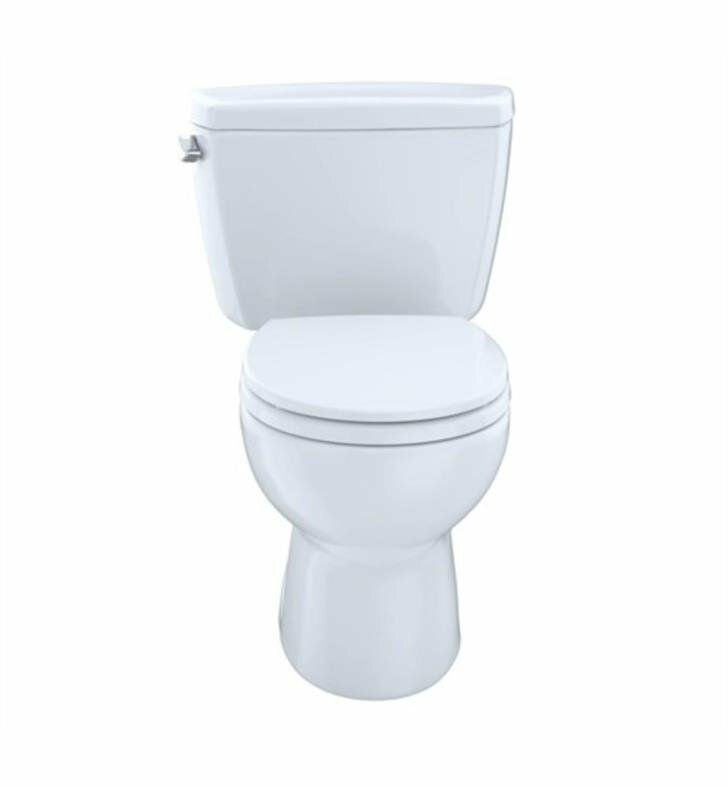 This reliable combination generates a powerful cleansing flush with 1.6 gallons of water. This version of the Drake comes with a left-hand chrome trip lever. 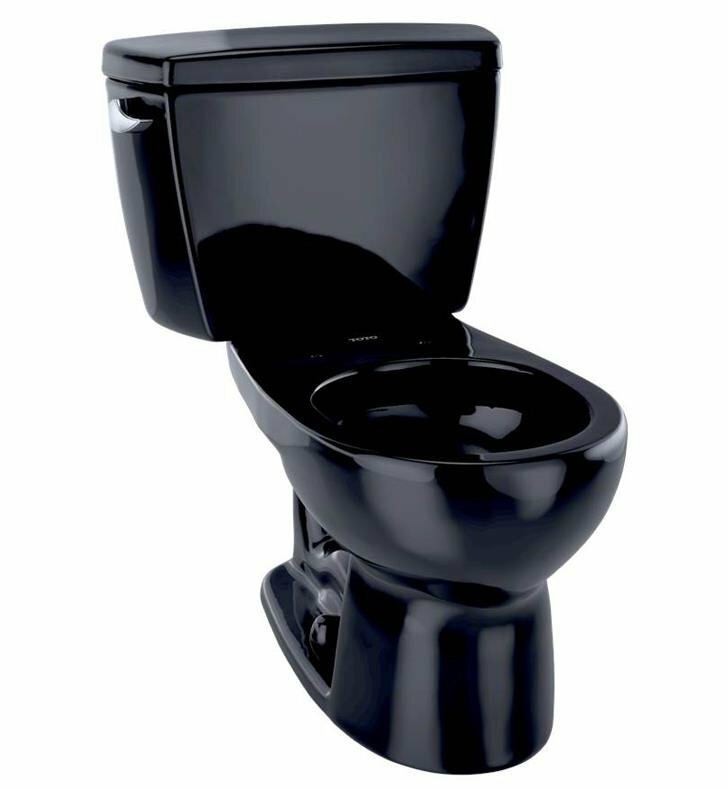 We take pride in the fact that our toilets are not only beautiful to look at, they have inner beauty as well. 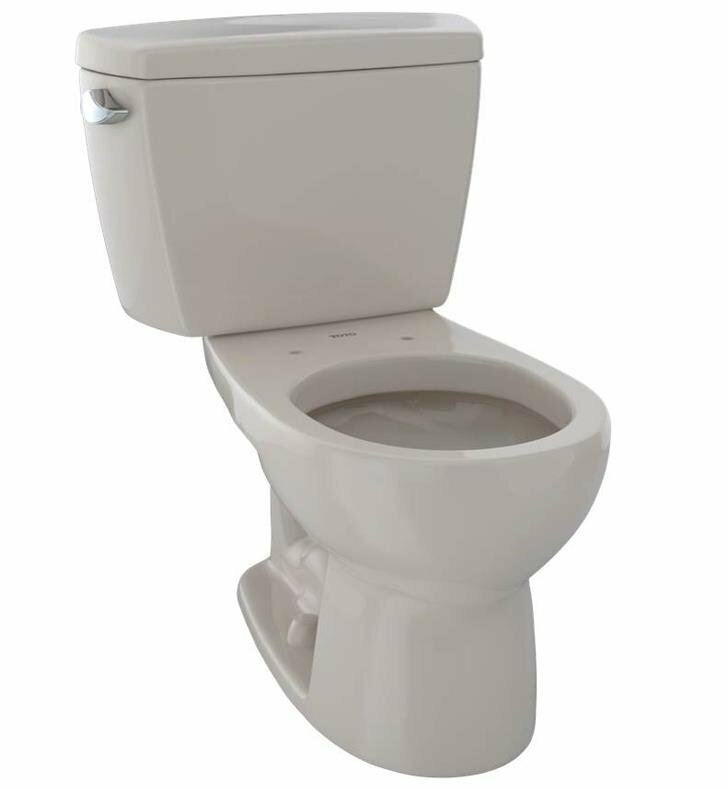 It's there in our high-performance flushing systems, our specially designed trapways. 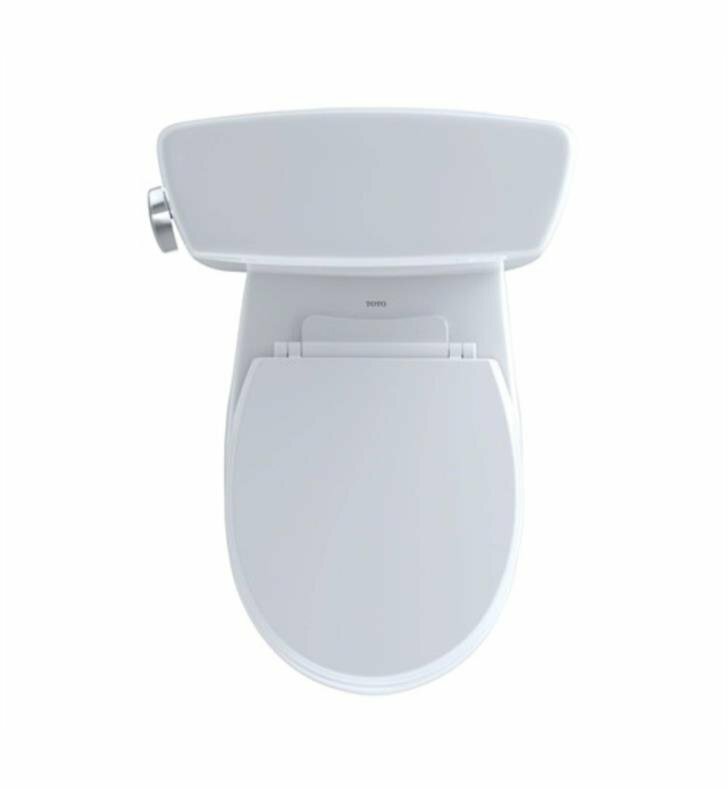 L 26 3/8" x W 19 7/8" x H 28 1/2"
Pros: Very fast to flush, very fast to refill, low water use (1.6 gpf). Doesn't clog. 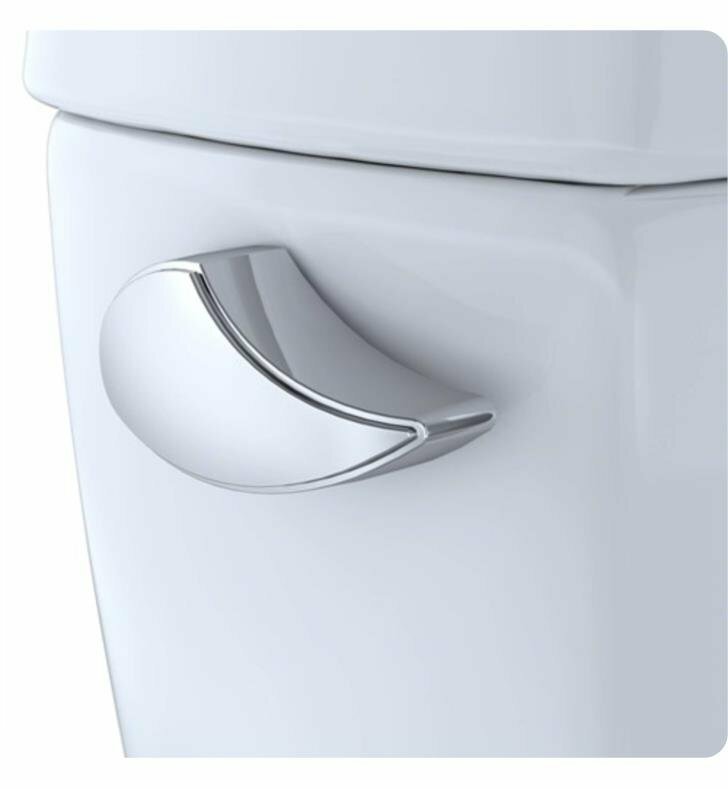 Installation Instructions and tank-to-bowl hardware were included and easy to follow for assembly and installation. Cons: Toilet drain outlet flange is recessed, so a taller than normal wax ring was required for a proper seal to the floor closet flange below the bowl.The round bowl is compact, which is acceptable for my bathroom space limits, but large people would not find it supportive. 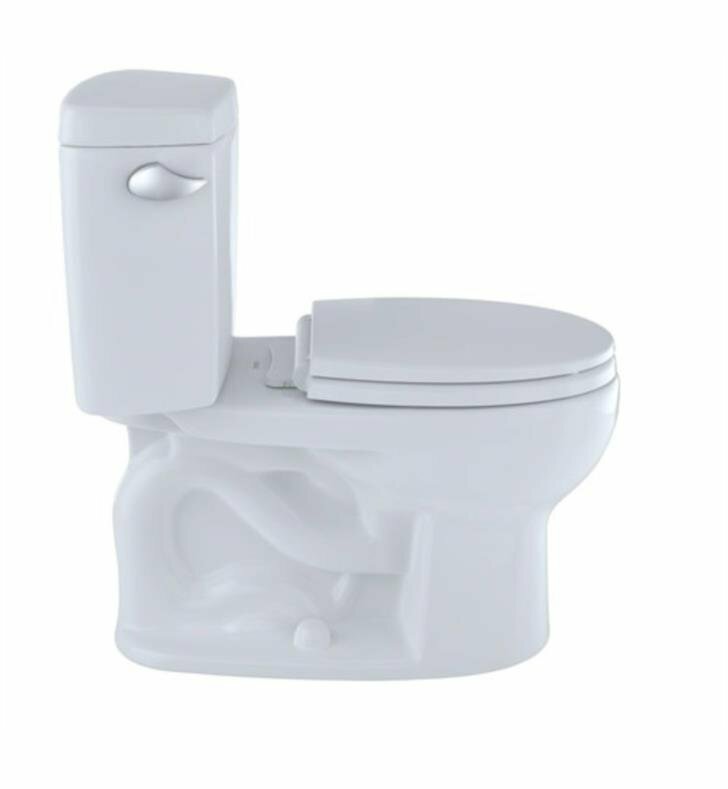 Three Toto Drake CST743S toilets were purchased. On-line ordering from Decor Planet was easy, and delivery to the midwest U.S. was within 7 days. Toilets arrived intact, packed in heavy cardboard boxes and strapped to a wooden pallet with fiberglass strapping and shrink wrapped in plastic. Decor Planet's price was lowest of all retailers checked online. 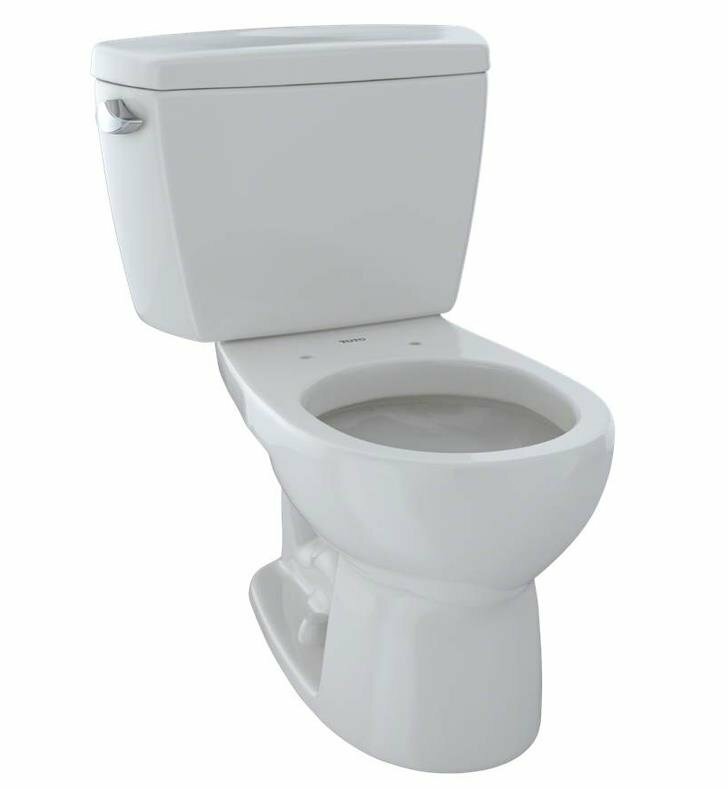 We are very satisfied with the bathroom we purchased from Decor Planet.We ordered medicine cabinets, a sink, toilet, shower and bath, tiling for floors and wall tiling. Our bathroom looks and feels amazing and has become one of the favorite rooms in the house. It also saved us alot of money and space and our bathroom looks spacious yet organized. Love this product!! We bought a bath, toilet, wall and floor ceramic tiles, and medicine cabinets. Our bathroom is now in the bestshape it's ever been! And it looks amazing too! Quick and fast. Good quality. We love it and would definately reccomend!